Horncastle Indoor Bowls Club are approaching the end of the season, and are seeing the culmination in the inter club competitions and the final few county matches. The club will host the finals of the Ladies’ County matches on Saturday from 10am. Players from around the county will be competing for titles in singles, pairs, triples and fours. The club’s own Olive Wells, Judy Moody, Mary Johnson and Jill King will compete in their semi-final match on Thursday, April 6 and are hoping to book a place into the finals on home soil. The Ladies’ Trudy Bates team and the Men’s LIBA side team both travelled to Scunthorpe. The Ladies, suffering late withdrawals, narrowly failed to win by just six shots. The Men won on three rinks to take the aggregate score and avoid the drop against their second-placed opponents. Horncastle Ladies 87 (4) Scunthorpe 93 (12): J. Moody 13-15; P. Scholey 11-21; L. Main 17-28; Jean Hoyles 21-20; J. Taplin 25-9. 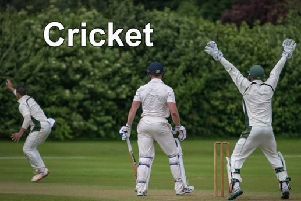 Horncastle Men 105 (14) Scunthorpe 87 (4): T. Nunn 12-19; G. Lancaster 16-32; K. Taplin 34-11; K. Jackman 20-16; P. Bark 23-9.